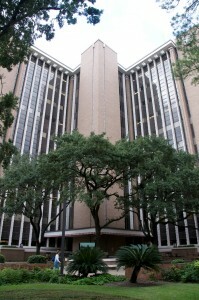 UTHealth School of Public Health offers four degree programs leading to the skills necessary for public health careers. Professional degrees can be used for practicing public health outside of higher education the Master of Public Health (MPH) and the Doctor of Public Health (DrPH). Academic degrees are primarily used for teaching and research the Master of Science in Public Health (MS) and the Doctor of Philosophy in Public Health (PhD). Students learn to conduct research on important public health concerns at the UTHealth School of Public Health while working with teams of faculty uncovering answers to urgent public health issues. MS, DrPH and PhD students must choose a minor in a public health discipline outside of their major. The following minor requirements are listed for each public health discipline. Doctoral students are required to complete one minor area of study and one breadth area of study OR two minor areas of study. For further discussion about how your minor or breadth area can help you meet your career goals, please contact your faculty advisor. PH 1820 Regression Techniques is strongly recommended as an elective for all students. EOHS also offers a minor course of study (minimum nine (9) semester credit hours) for MS, DrPH, and PhD students majoring in other public health disciplines. The prerequisite science background for these courses is required to take the minor course of study in EOHS. Doctoral students are required to complete one major area of study and two additional areas of study. The additional focus areas can be one minor area of study and one breadth area of study OR two minor areas of study. The following are some examples of Breadth topic areas, however a breadth area is not limited to the following. Specific courses can be changed to meet the individual needs of the student with the approval of the committee members. DrPH students in Community Health Practice are recommended to select a breadth area in Leadership or Methods. Substitutions in either recommended breadth may be made with approval of the student’s committee. How Will Your Work Count? A student is classified full-time if enrolled in at least nine semester credit hours during the Fall or Spring semesters, at least six semester credit hours during a 12-week Summer session, or at least three semester credit hours during each six-week Summer session. Full-time students generally enroll in 12-16 credit hours per semester. A minimum of three credit hours must be taken in each semester a student is enrolled. Students are expected to enroll in culminating experience, thesis, or dissertation hours during the time that resources are being used in this endeavor. All courses taken by students accumulate semester credit hours, but no more than a combined total of six credit hours earned for culminating/thesis/dissertation research plus the practicum experience may be counted toward the total credit hour minimum of the degree. A course generally consists of a combination of lectures, discussion periods, directed reading, and individual study and inquiry. Courses may be taken in a classroom, online or via Interactive Television when offered. Courses are letter-graded or pass/fail. All courses satisfying the MPH core requirements are letter-graded. Elective courses may be letter-graded or pass/fail at the discretion of the instructor. Credits earned at other institutions prior to enrollment at the UTHealth School of Public Health shall not be applied to SPH transcripts or counted toward graduation requirements. Through reciprocal agreements, however, students enrolled at the UTHealth School of Public Health may take courses for credit at affiliated institutions. Enrollment is required in the semester in which the research proposal is submitted and continuously through the semester in which all requirements for graduation are completed. Enrollment is also required in the semester in which the qualifying examination (doctoral programs) is taken and in the semester in which the student is involved in a practicum/internship (MPH and DrPH programs). Students must maintain enrollment in the School so that any absence from the program does not exceed one calendar year (three consecutive semesters) unless a formal leave of absence is obtained. General and specific requirements for degrees may be altered in successive catalogs. A student is bound by the requirements of the catalog in force at the time of his/her admission or readmission; however, a student must complete all degree requirements within seven years or be subject to the degree requirements of the catalog in effect at the time of graduation. A student is classified “full-time” if enrolled in at least nine semester credit hours during the Fall or Spring semesters, at least six semester credit hours during a 12-week Summer session, or at least three semester credit hours during each six-week Summer session. Full-time students generally enroll in 12-16 credit hours per semester. A minimum of three credit hours must be taken in each semester a student is enrolled. Students are expected to enroll in culminating experience, thesis, or dissertation hours during the time that resources are being used in this endeavor. All courses taken by students accumulate semester credit hours, but no more than a combined total of six credit hours earned for culminating experience plus the practicum may be counted toward the total credit hour minimum of the masters degree. Nine combined dissertation and practicum hours may be counted for the doctoral degree. Students are expected to complete master’s degree programs (MPH and MS) within five years and doctoral degree programs (DrPH and PhD) within seven years. In case of extenuating circumstances, a student may request a one-year extension provided there is adequate justification. The possibility of a second year of extension exists for extraordinary circumstances. Students who do not graduate within the approved time limit must be readmitted to the school in order to complete the degree program in effect at the time of readmission.